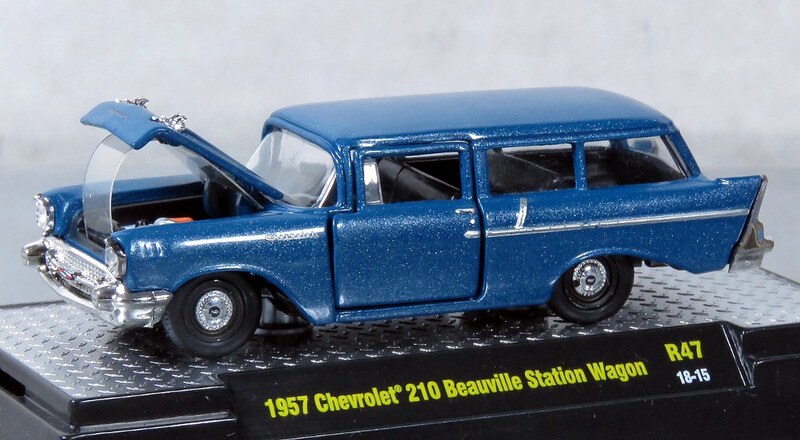 I recently aquired this M2 1957 Chevrolet 210 Station Wagon. Its a great subject, but in my opinion would have been better not to have silver flakes in the paint and poorly fitting opening doors. The silver flecks are far less noticable on the model however than here in this larger than life photo.